I woke up this morning with a wild hair to get a bike with some off road capability. I have that '09 Vulcan Lawn Tractor just sitting there gathering dust so I figured I may be able to trade it straight across for a couple year old bike. I've never looked into a dual sport so all I know is the v-srtrom and the dr. Is there a better one I'm missing? 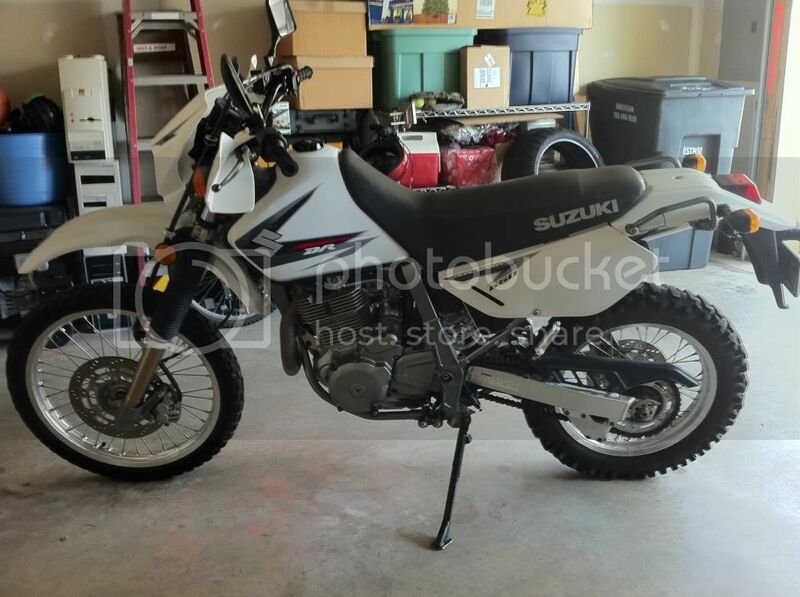 I emailed a guy on CL this am who is offering an '09 DR650 w/3k miles for $3900 or trade. Does that sound like a decent price? Re: DL650 vs DR650 vs ??? I just looked up the value (for my area) on the DR650E. It listed it at about $2,800-$2,900 for trade in, and about $4,200 for retail. So the $3,900 doesn't seem out of line. It doesn't sound overly used with only 3,000 miles on it. As long as it hasn't been beaten as a trail bike. But if it's been cared for, it sounds decent. My buddy has a DR650 and it's a great bike. But it's more dual sport than the DL650 V strom. I guess it depends on what your need are. If it's just to run around town and play off road. The DR is a great bike. But if it's more for on road that you may ride dirt roads and trails once and a while. The V strom may be the better choice. Personally I like the DL better, because I'm not that much into off road riding anymore. (I was when younger) So a DL650 V strom ABS would be my choice. But it's not about me! One thing to keep in mind also is that your Vulcan is probably worth $1,000 or more than the DR650! So the DR guy make jump on that if he wants a cruiser! He's already asked to meet today so he may be interested in the cruiser. You know what my on-road bike is, Connie isn't going anywhere. It just seemed like a waste to have a cruiser sitting in the garage I'll never ride, and I've never tried offroad. I figure that $1k difference in value will help me make a quick deal for little or no cash involved. I see one of the local dealers has an '05 DL650 for $4k w/13k miles. I may go check that out if the DR650 falls through. I really like the sound of the simplicity of the DR tho, I already have one complicated bike to deal with! Congrats Scott. It looks to be in great shape. I hope you have a lot of fun with it. Like I said earlier. They are great bikes! DR650: Good choice for a dual sport. IMO the DL650 is not a dual sport but an adventure bike. Riding one 14k mi in AU it was an excellent adv bike. BUT in a mere few inches of sand the front wheel was death defying and I could not keep the bike going straight. I have ridden dual sport and off road for years.